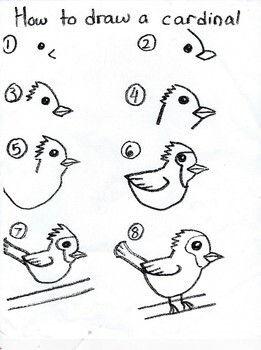 Scaffolded directions on how to draw a cardinal bird step-by-step! I've taught this with as young as Kindergarten and as old as 4th grade. We drew them with pencil, traced with oil pastel and then did a watercolor resist overlay, but the possibilities are endless!